Carol Frey, M.D is considered one of the top international foot and ankle specialists. 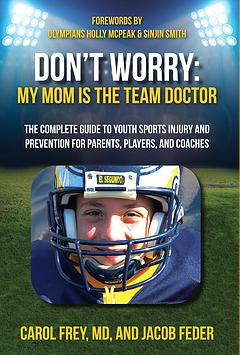 She works with Olympic athletes, Division I college players and the most complex and critical cases. She is a graduate of Stanford University, where she was a Division I swimmer. She is also a graduate of the University of Southern California (USC) School of Medicine. Her training includes a residency in orthopaedic surgery at the University of California, San Diego (UCSD). In addition, Dr. Frey completed a fellowship in foot and ankle surgery at the Hospital for Joint Disease/NYU in New York City. She also has completed a fellowship in orthopaedic research with Dr. Savio Woo and Dr. David Amiel at UCSD. Dr. Frey is a clinical assistant professor of orthopaedic surgery at UCLA and the former chief of the Orthopaedic Foot & Ankle Service at the University of Southern California. She has been a member of the American Orthopedic Foot and Ankle Society (AOFAS), the American Academy of Orthopedic Surgeons (AAOS), the Arthroscopy Association of North America (AANA), and California Orthopedic Association (COA) for over 20 years. Dr. Frey has held public office and served as a board member, program chairman, committee and course chairman, faculty member, task force member, spokesperson, educator, author and editor. She has published more than 100 manuscripts and book chapters, in addition to editing and authoring several books on sports injury and foot and ankle topics including: Current Practice in Foot and Ankle Surgery Vol I and II; AAOS Essentials of Musculoskeletal Radiology; Operative Techniques: Foot and Ankle Surgery; AAOS Essentials of Musculoskeletal Care ; and Don’t Worry My Mom is the Team Doctor . Dr. Frey is on the editorial board of Foot and Ankle International, MedScape and Orthopedics Today. 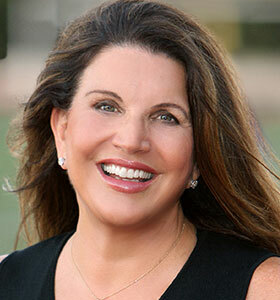 Dr. Frey has shared her expertise through many media outlets, including ABC News, the Associated Press, CBS News, CNN, Dateline NBC, Good Morning America, the New York Times, People magazine, Readers’ Digest, Runner’s World, USA Today, The Today Show, 20/20, the Los Angeles Times, Time Magazine, Vogue, and the Wall Street Journal. Dr. Frey is a board-certified orthopedic surgeon, a diplomate of the American Board of Orthopedic Surgery, a fellow of the American College of Surgeons and a member of the American Academy of Orthopedic Surgeons.